In My Hero Academia we see that when Midoriya is mumbling they use ブツ to symbolize it. Is this the rule for anime/manga/japanese or does it only happen in My Hero Academia? ブツブツ or ぶつぶつ (the same word, just in katakana vs hiragana) is a standard Japanese onomatopoeia for mumbling, muttering, or grumbling to oneself. This list of Japanese onomatopoeia includes ぶつぶつ in it, along with many other onomatopoeia that show up in manga. Not the answer you're looking for? 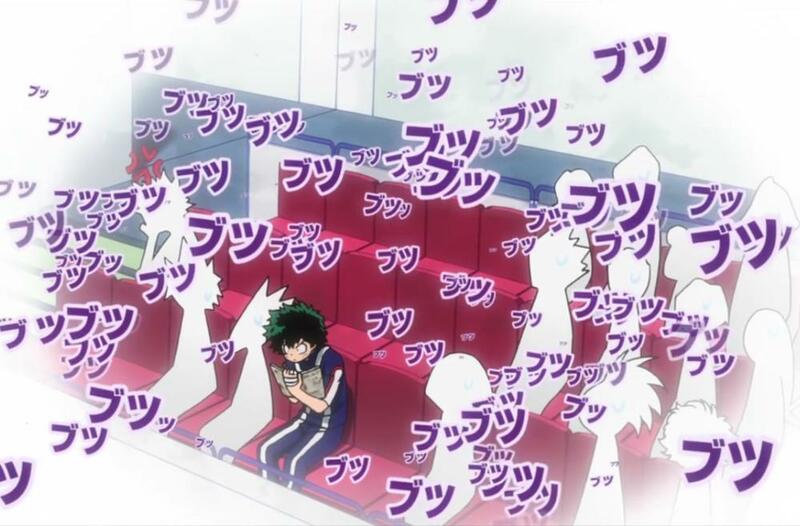 Browse other questions tagged tropes japanese-language my-hero-academia or ask your own question. What's the crater in the mountain shown after Izuku talks to Kota in season 3 episode 3?